At Pro-Hairlines, we respect the individuality of each client. We recognize that lifestyles vary greatly from person to person. Your requirements are unique and your hair is unlike anyone else’s. Our technicians and stylists are experts in determining precisely what it is you want with your new hair and then proceed to give you exactly that. To begin, Cosmetic Transdermal Reconstruction™ is the world’s first non-surgical skin graft hair replacement procedure, based entirely on the emerging science of Applied Virtual Skin Technology™ . The end result of nearly two decades of continuous research and development, CTR™ has achieved that, which just a few short years ago, was thought to be impossible. That is, the application of hair directly to the scalp in a safe, dermatologically correct fashion. Hair that literally becomes a physical part of you, not something you wear. Seamless and invisible, non-invasive and completely reversible, requiring no daily maintenance. Simply stated, it is without peer in achieving a level of cosmetic realism, never before dreamed possible… pushing the envelope of non-detection to its outermost limits. 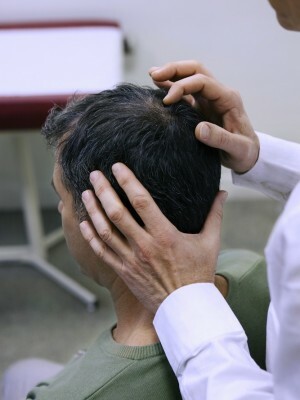 To determine the actual area of reconstruction, a scalp impression faithfully reproduces the exact area of reconstruction. This measurement, when evaluated with your own hair growth pattern, determines directional flow of hair and precise graft placement. This enables us to apply hair only to those areas where hair is needed (including receding hair lines and thinning areas) eliminating the lumps, bumps, ridges and seams common to virtually all other methods of hair restoration. The CTR™ grafts, created to duplicate the exact characteristics of the client’s own hair, can be compared to a soft contact lens which becomes one with the scalp. To the extreme degree of cosmetic realism afforded by this stand alone procedure, each graft is developed using a proprietary multi-layer, copolymer technology with a relative edge thickness so thin it literally deifies detection to the conscious, probing touch. Years of observation have shown the CTR™ graft application to be completely permeable, allowing the scalp to function in a normal fashion. Immediately prior to applying the CTR™ graft, the client’s scalp is prepared to exact dermatological standards. Similar to receiving a facial, the client experiences a very pleasurable hygienic protocol of deep cleansing, exfoliation and astringent treatments. This protocol is performed using only our CERTIFIED™ scalp care products developed exclusively for use with CTR™. On some individuals, depending on hair style, recession and bone structure, it is desired to create a new secondary frontal hairline by applying individual hairs directly to the scalp. This is accomplished utilizing our proprietary Transdermal Retention Solution™ and provides a soft transition from bare scalp to an appropriately dense front hairline. With continuing advancements in CTR™ technology, virtually any type of hairline, wet, dry or even combed straight back, can now be achieved. Using our exclusive multi-disciplinary approach to medical/surgical grade adherents with cross linking: technology, the transdermal graft is applied directly to the scalp in the site-specific area of hair loss. This new, non-invasive procedure enables us to use your own growing hair to its fullest extent, while providing a level of comfort and relentless security never before dreamed possible. Cosmetic transdermal reconstruction™ is available in major cities worldwide. Pro-Hairlines has been chosen and trained to exclusively perform this extraordinary breakthrough procedure. There are currently five proprietary TRS™ formulations which are used in the application of CTR™. All formulations have undergone extensive Primary Dermal Irritation testing to determine any potential adverse effects that may be experienced through the use of these formulations. Testing is conducted regularly by the independent testing facility MB Research Laboratories and all formulations are manufactured by ISO9000 certified laboratories. Additionally, all formulations are certified to meet or exceed FDA CFR 175.105 standards and exhibit no levels of cyto-toxicity. Independent laboratory test results are available for your review at any of our affiliated, certified CTR™ centers. WARNING: You have a right to know! What type of adhesive or adherent will be used? How long has their technology been in development? How many individual applications have been performed since it’s inception? This is important information for you to know, and we encourage and support your right to documentation. 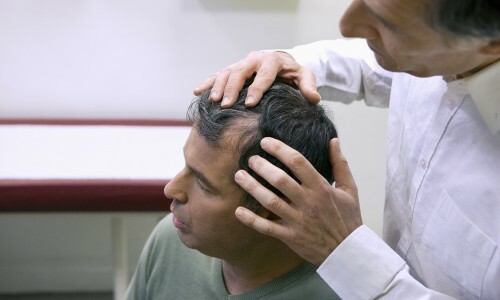 In addition to our exclusive process we also offer every other type of hair replacement system available in the market. Human or synthetic hair, customized or ready made, all polyurethane base, all lace base, all monofilament base and different combination bases priced from $500. With do-it yourself attachments and numerous permanent attachments done professionally, the client would be required to come in between every 3-6 weeks. We will not only match our competitors price and product, we will do better.